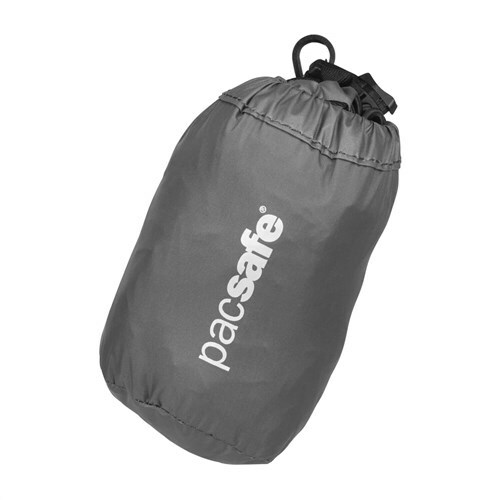 The Pacsafe Backpack Rain Cover keeps your backpack protected from unwanted weather. The cover fully wraps your small backpack with elastic for a snug fit and has a secure clip to keep things in place. It is made of pure nylon, thus providing protection to your bag in rainy and wet conditions. The cover fits backpacks from sizes 20L to 40L volume. It can be easily folded into the size of a pouch taking very less space. The rainy cover allows you to enjoy your adventure relieving you from worry of your backpack. The Pacsafe Rain Cover Medium has many exciting features for users of all types. 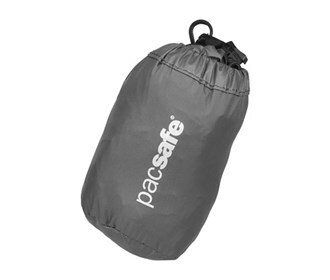 The Pacsafe Rain Cover Medium is sold as a Brand New Unopened Item.